Memories : Elephants met at childhood. Cartoons at boyhood. The Subconscious mind at adulthood. The embedded final video has three memories as environment scenes modeled and textured using Maya,Zbrush and Photoshop. I decided to use this workflow since I find it easier to navigate here rather than in Blender which I find useful but a tad bit more complicated. The base meshes for my organic models were created using reference planes in Maya before moving on to Zbrush except for the Elephant which I started out using Zspheres. The houses and other artifacts and objects like the table,lamps,carpet,bulbs,pot,bridge,well etc. were created solely in Maya. Two of my terrains were modeled and sculpted in Maya and Zbrush. 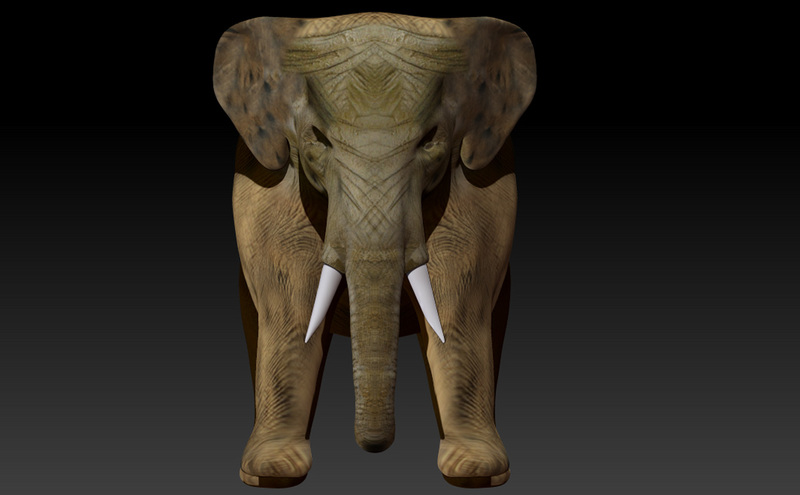 I made use Photoshop to texture most of my hard surface models and Zbrush to spotlight paint the Elephant although I wasn't able to fully texture the likeness sculpt of myself due to improper UVs which I was only too late to realize. I used the terrain tool in Unity to create and texture the terrain the elephant and the well were placed on. I used Xnormal and Crazy Bump to create my normal,displacement,specular,occlusion and albedo maps. Once my assets and maps were successfully imported I used the standard material for the most part excepting for particles in the particle system. I placed lights in the scene and some of my objects received baked lighting while the rest were in realtime. Finally I used the Post Processing Stack to color grade my scene for the most part and Cinemachine to render my video. I created the base mesh in maya and sculpted in zbrush.